Instant cameras are on the rise. The re-emergence of a retro idea—with a bunch of modern twists. Photo illustration by Slate. Images by Fuji and Instagram. When it comes to photography, we live in an Instagram world. The photo-sharing app has become one of the dominant social networks: In data from Comscore, it’s second only to parent company Facebook in reach and engagement. As of September, it has 500 million daily active users. Phrases like “But first, let me take a selfie” and “do it for the gram” have inserted themselves into modern culture, particularly among the under-30 set. There are entire pop-up “museums” dedicated to offering picture-perfect Instagrams, like the Museum of Ice Cream and the Color Factory. As our photography habit has moved from film-laden cameras to app-filled phones, a curious thing has happened. Film has made a resurgence—in the form of instant cameras. Companies such as Polaroid, Fujifilm, Lomography, and even HP have entered or re-entered the space over the past few years, to both critical and financial success. According to Polaroid President and CEO Scott W. Hardy, while instant photography may have left the limelight, it never really disappeared. As the popularity of 35mm photography declined and digital took off, there was always a strong demand for the instant photography experience, Hardy said. In recent years, that has grown—significantly. “There’s a nostalgia to instant photography for generations of consumers who grew up with it, and there’s a novelty to it for generations of consumers who grew up in the digital age and have never held an actual photo in their hands until recently,” Hardy said. “Instant photography offers users something tangible and physical in today’s digital, often transactional, world.” Polaroid now sells three styles of instant camera: the Pop, Zip, and Snap. Another camera, the Fujifilm Instax, has seen notable success. During the 2015 holiday season, it became the top-selling camera on Amazon. The following year, a Wall Street Journal report documented the company’s surprising numbers: 5 million cameras sold by the end of its fiscal year, with an anticipated 6.5 million in sales expected for the following year. 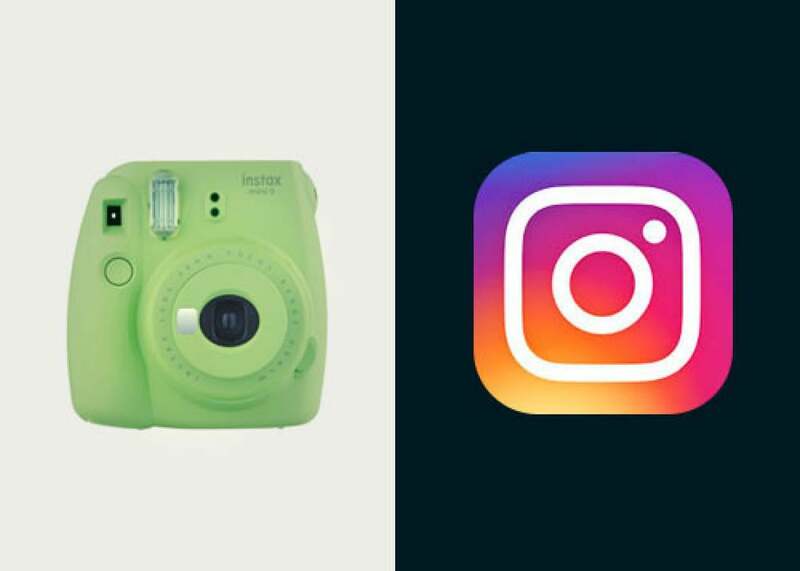 Fujifilm makes a whole suite of Instax cameras in a variety of price points, styles, and colors, including one that cops Instagram’s signature square-cropped style. The camera industry, after five years in decline, has seen sales pick up in 2017. Instant cameras and photo printers combine the instant gratification of smartphone photography with something you can share, store, or admire in real life. They go beyond the Polaroids of yesteryear, though. They’re often connected with a mobile app so you get both a digital and a printed copy of a photo, as well as options to edit it with filters and stickers. In some cases, you get augmented reality features, too: When you scan a printed photo with the app, you get video that was also recorded at that moment. Today’s breed of instant camera comes with a few other accoutrements the cameras of yore lacked. Many include a mirror on the front for taking selfies. Others blend the features of a digital camera and an instant camera with different photo modes, brightness controls, and setting options. Some offer touch controls on back, while others, like the Polaroid Snap, keep those sorts of modern updates to a minimum to capitalize on the nostalgia factor. And then there are the products that forego a camera altogether, instead working with a smartphone app so you can print out the photos already in your camera roll. HP entered the space this way before adding a camera to its Sprocket photo printer in the Sprocket 2-in-1. HP saw the opportunity to address the challenge of billions of photos “stuck” on phones, but has been surprised at how its photo-printing Sprocket line has resonated with not just teens—teenage girls are its “most passionate customer”—but also with millennials, moms, and entire families. Polaroid said it often sees younger customers print physical photos and then take digital pictures of those prints to share on social media. In this way, the journey of Polaroid, the most iconic name in instant photography, has come full circle. With so much sharing happening in the digital realm in our Instagram world, instant camera–makers have integrated themselves back into that experience. People are still sharing Polaroids and instant photos with friends—in both the real world and in apps.